The Loewy Law Firm is an Austin personal injury law firm that provides legal representation to victims of many different types of accidents. If you or someone you love is harmed by the negligence or wrongdoing of another, you may be entitled to receive monetary compensation for damages. The Loewy Law Firm has earned a perfect 10 rating on the nationally-recognized Avvo lawyer rankings and our firm has secured millions in compensation for injured victims. If you need legal help getting money for your losses, our Austin personal injury lawyer is here for you. The Loewy Law Firm is a practice solely focused on representing injured clients. We do not represent insurance companies, we represent people who have been hurt. As one of the top injury law firms in the state of Texas, our firm has provided dedicated and skillful legal advocacy to clients who sustained damages from many different causes of injuries. We represent not only adults who have been injured, but also families of children who were injured. 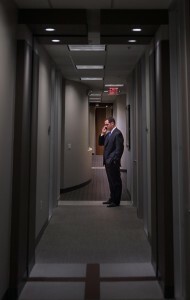 Adam Loewy routinely handles cases involving serious injury and wrongful death and our firm is never afraid to stand up to big businesses or some of the country’s largest insurance companies. We will do what it takes to help clients get the full compensation they deserve for their damages. 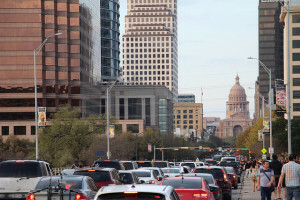 Can Our Austin Personal Injury Law Firm Help You? Any time you are harmed because of negligence or wrongdoing, you have certain legal rights in Texas. If you can prove someone else (a person, company, or government entity) was responsible for your injury, you should be compensated for medical costs, wage loss, pain and suffering, emotional distress, and other economic and non-financial losses. There may be significant amounts of money at stake so it is important that you know and understand your rights and take aggressive legal action if someone is responsible for harming you. At the Loewy Law Firm, we offer free case evaluations so you can determine if you may have a right to compensation. We also don’t charge for our legal services unless we help you recover compensation for your losses. If you need a caring, compassionate and knowledgeable Austin personal injury lawyer with a long track record of representing clients in injury and wrongful death claims, the Loewy Law Firm is here for you. Give us a call today at 512-280-0800 to schedule a consultation and learn more.